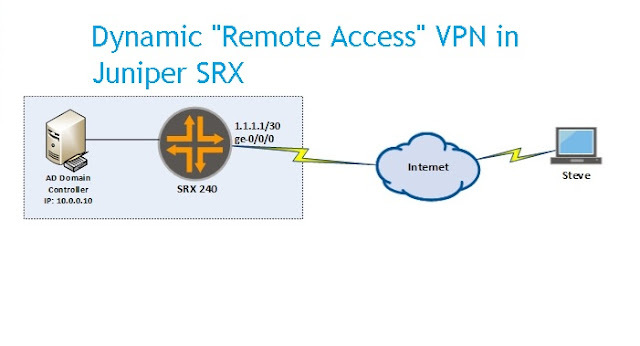 Dynamic VPN or Remote Access VPN is a feature available in branch series SRX. By default, branch series SRX gateways come pre-installed with two dynamic VPN licenses. So by default, only two remote users can have dynamic VPN simultaneously. You can purchase additional license for more dynamic VPN users. Dynamic VPN is used by users from Internet to access the corporate LANs. 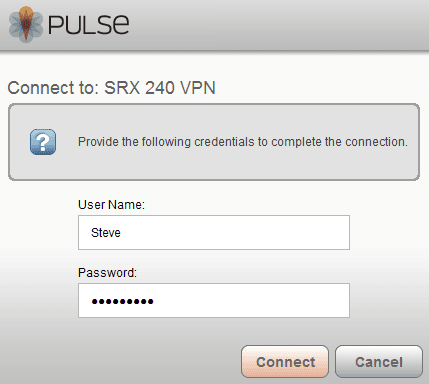 The required VPN client for user’s machine can be downloaded from SRX’s web interface and is automatically installed. 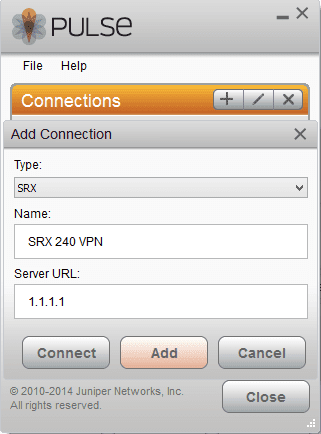 When the user logs into the SRX’s dynamic VPN web page, the VPN session on user’s PC is initiated and required VPN client is automatically downloaded without user interaction. 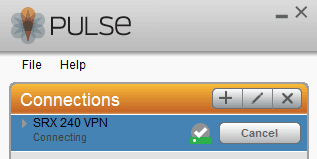 You can also manually download and install JunOS Pulse which is a VPN client application. In this article, I will show you the steps to configure Dynamic (Remote Access) VPN in Juniper SRX. To view the existing license information, type show system license command as shown below. As you can see the number of dynamic-vpn installed license is 2 and the expiry is permanent. The diagram below is our scenario for dynamic access VPN. Here, 10.0.0.0/24 is the protected network. We have Active Directory Domain Controller in the network. We want users to be able to access this protected network from the Internet. You can download and install JunOS Pulse client application on user PCs. JunOS Pulse is a VPN client from Juniper. Users out on the internet can use this tool to connect to VPN. To use this tool, click Add (+) button. Uner type, choose SRX. Then type name of the connection. Type IP address or domain name of the SRX device. And then, click Add button. After creating a new connection, click Connect button. The client will now attempt to connect. Click Connect again on certificate warning. Now type username and password to connect to VPN. This is how you can configure dynamic VPN in Juniper SRX and use JunOS Pulse to connect to VPN.